$1.50 Garanimals on Clearance at My Walmart! 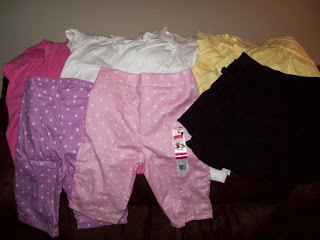 I just picked up the cutest Garanimals separates for my 2 year old daughter at Walmart for $1.50. They were regularly $3.50. The sizes ranged from 12 months up to 4 or 5t. I don’t know if these are regionally specific or nationwide, but it is worth checking it out! I found them at the back of the kid’s section on a clearance table. I bought 12 pieces – shirts, capris, and skirts. If you get them as well, let me know and tell us which store! 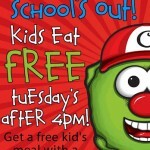 Kids Eat FREE at Crispers! My First Purchase Through No More Rack! 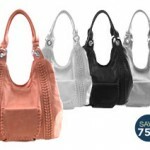 75% off Woven Lines Pocket Handbag! New Beechnut Coupon! $1.10 off Any 4 Homestyle TEXTURES Stage 2 ½ Glass Jars!